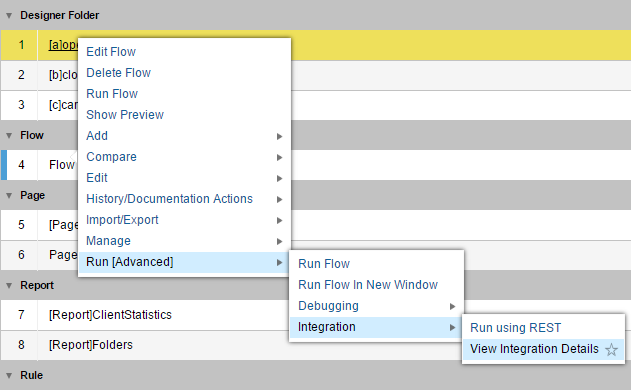 Enable the flow to be called using REST from the Flow Designer. 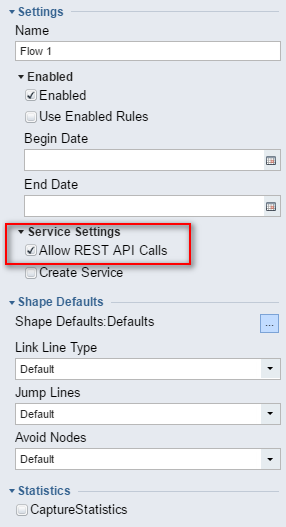 In the flow Properties	panel, select the Allow REST API Calls	check box. 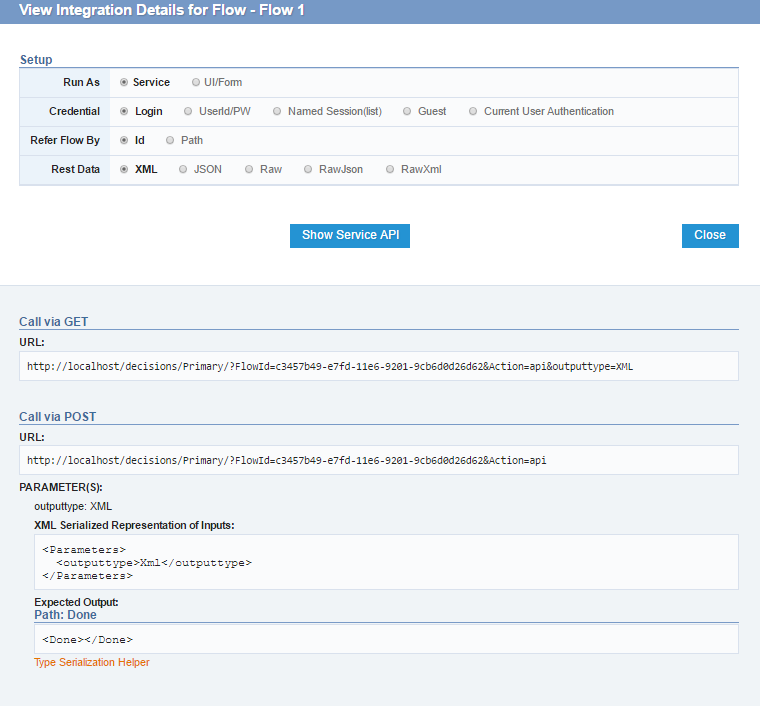 To view the Service Call API for the flow, from the Flow Designer , click the View Integration Details	link.